ESOUI » Developer Discussions » Dev Tools » IDE Recommendations? I'm looking for an IDE that supports auto completion for eso api that is up to date ie 100023 any suggestions? See www.esoui.com/forums/showthread.php?t=1820 and http://www.esoui.com/forums/showthread.php?t=776 . One thread is IntelliJ with a generated API file for autocompletion. The other one is a custom plugin for a LUA-Editor. I'm using IntelliJ and try to keep the api files up 2 date. Takes some time, but you are able to check most files also within the wiki or esoui only code at github. I will release the patches after I have made my addons up to date. VSCode is the best free IDE supporting many languages, including Lua and is VERY fast. Does VSCode support any auto-completion markups/files so one can add support for the Elder Scrolls Online API? Not directly, but one can write a plugin to extend the Lua language server which provides the autocompletion underneath. I looked into it a while ago, but felt that it is too early to switch over from eclipse, since VScode is rather unstable (api-wise) and changes a lot between its monthly releases and it also doesn't yet support all the features I'd like it to have. Maybe I'll give it another look next year. Which exactly features are missing in VSCode? There are too many to count. Some small, some big. For example proper window handling for multiple monitors (Right now when I drag a tab to a second monitor, it will copy that file to desktop. I would expect it to open a new window for it in that case). Or the lack of a way to show all TODOs and issues in the workspace. Or a simple way to set all the default keybinds to use eclipse shortcuts (other IDEs like android studio can do that via a dropdown). I could probably write plugins to take care of most of these issues, but with the way they churn out updates every month, I feel it would be a waste of time right now, since it could become obsolete quite quickly. I use VS Code for most things but I do agree proper multi-monitor support is needed. They did add window pinning inside the VS Code frame and that's ok if you just have 1 large monitor but doesnt help multi-monitor setups. They should drop the Visual Studio name from it because most people don't use it for VS.
* There are few TODO plugins that probably do what you want, I also see a eclipse keymap plugin too. Last edited by Dolby : 12/01/18 at 11:27 AM. VS Code definitely is from Microsoft. 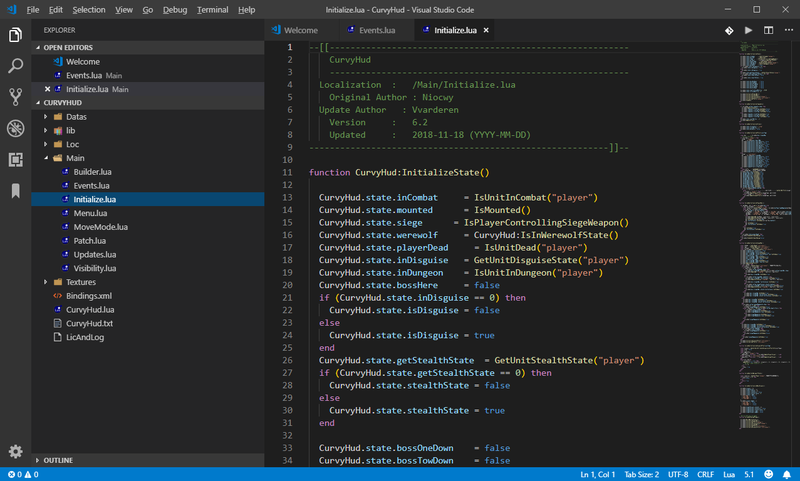 It was not intended to replace Visual Studio entirely, but it is akin to Atom or Sublime with some extra IDE bells and whistles via its plugin / extension repository while keeping it lightweight.